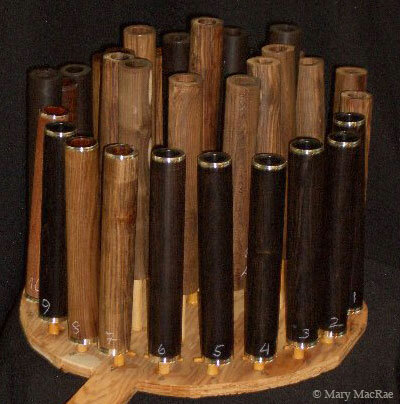 Custom wood headjoints for flute, piccolo, alto, and bass made from the finest cocus, grenadilla, and other rare hardwoods. Eppler cocuswood and silver headjoint in special case. Special extra lip plate area engraving. 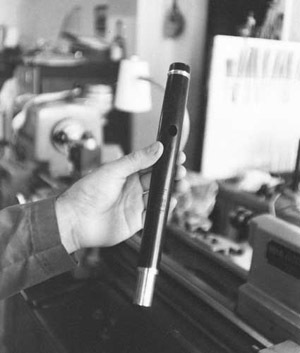 The wooden flute headjoint is enjoying a reawakened interest as discriminating flutists have discovered the advantages of its warmth and depth of tone. Highly suitable for all musical styles from baroque to avant-garde, equally at home in chamber music, the orchestra, the recording studio, or in solo roles, the Eppler wooden headjoint brings an added dimension to the performance demands of today. 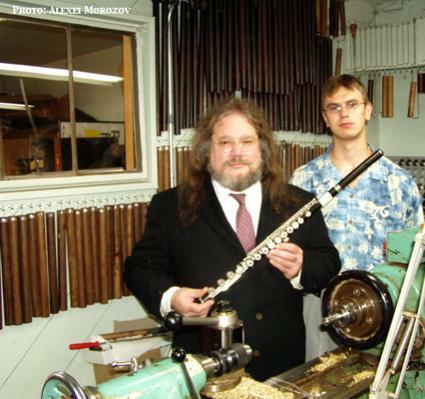 Alexander Eppler was the first American flutemaker to reintroduce the wooden headjoint on a systematic basis, beginning in 1975. Noted for ease of response yet full tone, Eppler wooden headjoints can be heard today in the United States, Australia, Canada, France, Germany, Great Britain, Japan, Korea, Thailand, Russia, Hong Kong, China, Spain, and elsewhere. 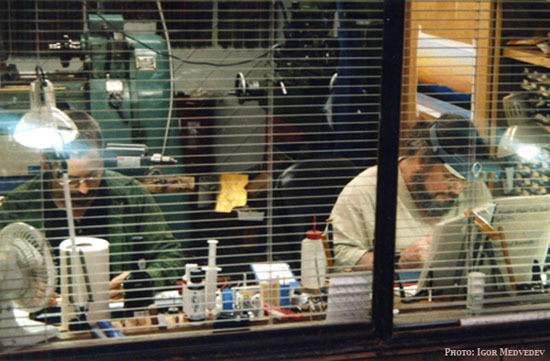 Eppler wooden headjoints, acclaimed for their unequalled beauty of design and craftsmanship, are also found in private collections in the United States and Great Britain. 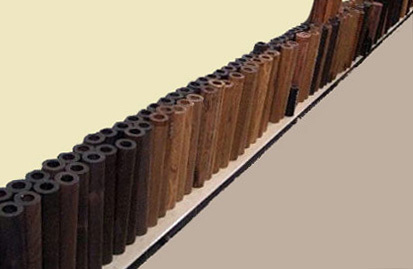 L-R: alto, flute (African blackwood), piccolo (cocuswood). 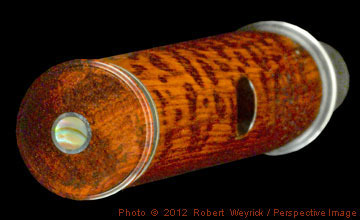 Below and right: Piccolo headjoint (snakewood). Snakewood blank, ready for flute making. the legendary and now very rare cocuswood. thinned-walled headjoints are noted for brilliance and ease of response. Thinned headjoints have lip plates resembling metal headjoints. The standard wooden headjoint has the same lip plate, but the area around it has not been carved away to reveal the shape of the lip plate. Thinned wood headjoints have a noticeably thinner sound, halfway between a standard wood head and a metal one. 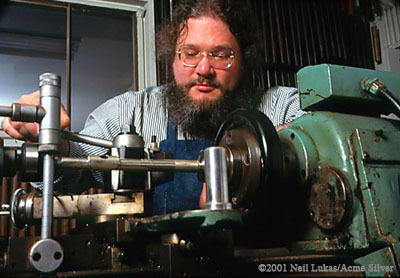 There is no difference in the actual ease of playing, between our standard wood headjoint and ones made of metal. Standard wood is African blackwood (grenadilla). All heads are custom designed and can be fitted to any metal or wooden flute of either foreign or domestic manufacture. Eppler wooden headjoints are also available for piccolo, alto, and bass flutes. Prices and specifications subject to change without notice. The pricing of Eppler wood headjoints is confirmed at the time of order. Any duty costs are the responsibility of the purchaser. working into the night padding flutes.